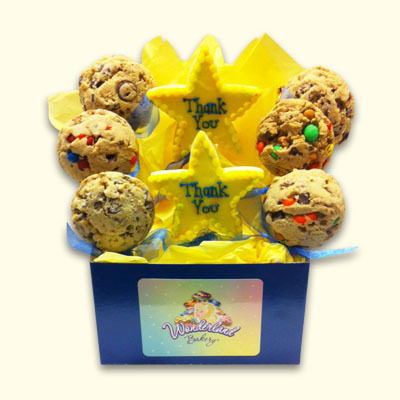 Be extra thankful with our Thank you Start Cookie Basket. Includes a selection of our gourmet cookies along with two decorated star sugar cookies. Send anywhere in the country with these individually wrapped cookies to show your thanks!